More Than a Great Summer Read: Freeman by Leonard Pitts, Jr.
My kids studied Abraham Lincoln and the Civil War this year, learning about slavery and the different economies of the South and the North that almost tore the US apart 150 years ago. The concept that one human being could own another was so strange to them that they struggled to understand it, still vaguely skeptical that the history they were reading was not complete fiction. Great historical fiction makes that history come alive, helps us understand those different times. My daughter read the Dear America, a Slave Girl diary novel and I read Freeman by Leonard Pitts, Jr. Two different books with similar themes that let us have rich, topical discussions on slavery and the Civil War. 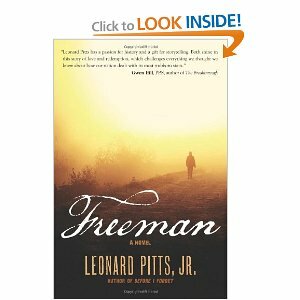 Leonard Pitts, Jr. ‘s new novel, Freeman, takes the reader into the complete chaos of a true revolutionary period: the end of the Civil War. The story takes place in the months after the Confederate surrender when the end of slavery enabled African Americans to set off to reunite with spouses and children that had been sold to different owners. The narrative alternates between two main characters: a former slave named Sam Freeman and a courageous abolitionist named Prudence Kent. Sam Freeman leaves his job in a Philadelphia library and travels on foot to Mississippi to find the wife he last saw fifteen years ago. As he journeys South, he encounters formerly wealthy plantation owners who are armed, bitter and in denial of new laws. Prudence Kent also travels South as soon as the war ends, but not to find a loved one. She goes to Buford, Mississippi to open a school for former slaves, and ignites a powder keg of resentment among the local whites. I found Freeman to be a thrilling read which made this tumultuous time period come to life, better than any summer movie blockbuster. The characters were richly painted and the way Sam Freeman’s voice switched to hide his education depending on whether his audience was hostile Southerners was absolutely terrifying. Thanks to this amazing novel, I now have a much better appreciation for the post Civil War era. 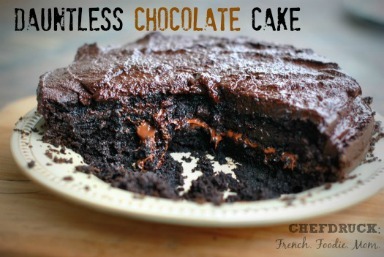 This would be an amazing book club selection as it is rich in topics for discussion.